Jim Keyes is a multi-instrumentalist, performer, songwriter and composer. He’s as likely to be heard playing original songs on an electric guitar in the rock band Hot Rod Pacer as he is singing 18th century ballads in Colonial garb. 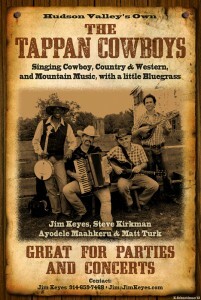 Jim’s recently played banjo in a drag show and in the Americana ensemble, The Tappan Cowboys. 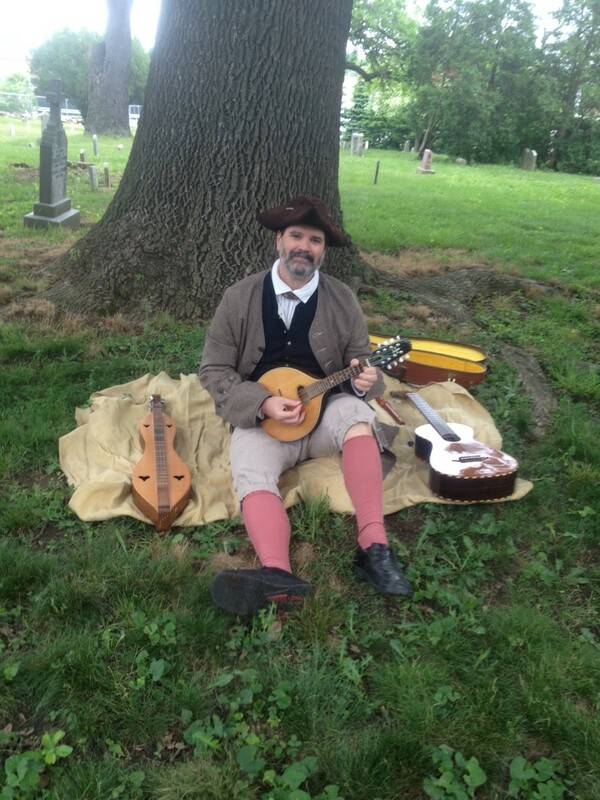 Playing Colonial era music at St. Paul’s National Historic Church and Cemetery. 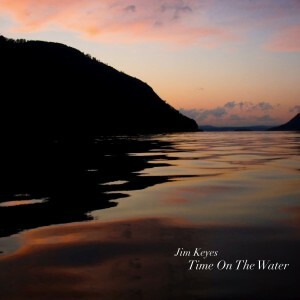 Jim’s strong connection to the Hudson River inspired him to release his fourth CD of original music, “Time On The Water”, a collection of songs paying homage to life along the River. An avid kayaker, Jim spends a great deal of time in and on the Hudson. As a historic musician, he is drawn to its rich history and legends. In 2013, he joined forces with singer/songwriter Fred Gillen Jr. and formed Hot Rod Pacer, a band showcasing songs co-written by Gillen and Keyes. 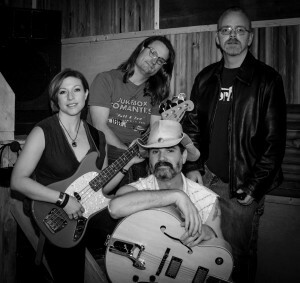 The band’s first CD, “Hot Rod Pacer” was released in 2014. Jim is musical director for storyteller Jonathan Kruk’s one-man shows, “Irving’s Legend” and “Dickens’ Christmas Carol”. 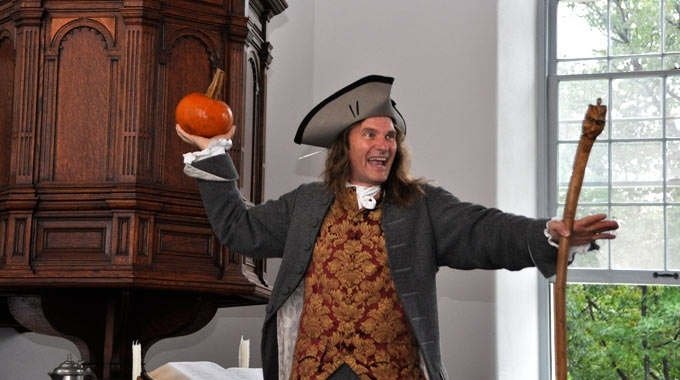 Jim composed and performs the score for both productions on a replica 17th century pipe organ in The Old Dutch Church in Sleepy Hollow, New York. Jonathan Kruk performing “Irving’s Legend”. Jim’s music appears on network and cable TV shows. He is currently a “green-light” composer for Getty Images. In 2008, Jim scored Historic Hudson Valley’s installations, “Winter Wonderlights” and “The Great Jack-O-Lantern Blaze”. His music is featured in the cult-favorite short film, “The Catskill Chainsaw Redemption”. Jim has been producing and editing audio, as well as doing voiceovers for more than twenty years. 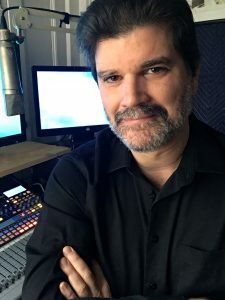 He is available to edit or voice your podcast, audiobook or other project. You can find out more here.